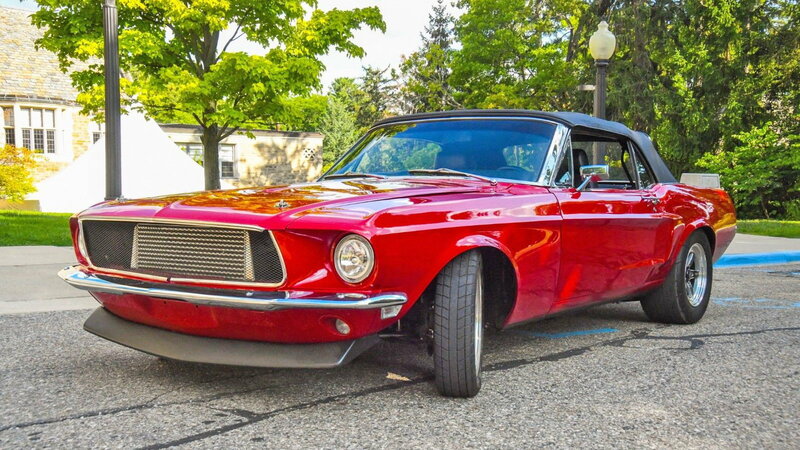 Slideshow: No matter how you feel about this car, it's still fast as all hell. We haven't seen a mashup like this since that infamous RB26 swapped Mustang from The Fast and the Furious: Tokyo Drift movie fame years ago. 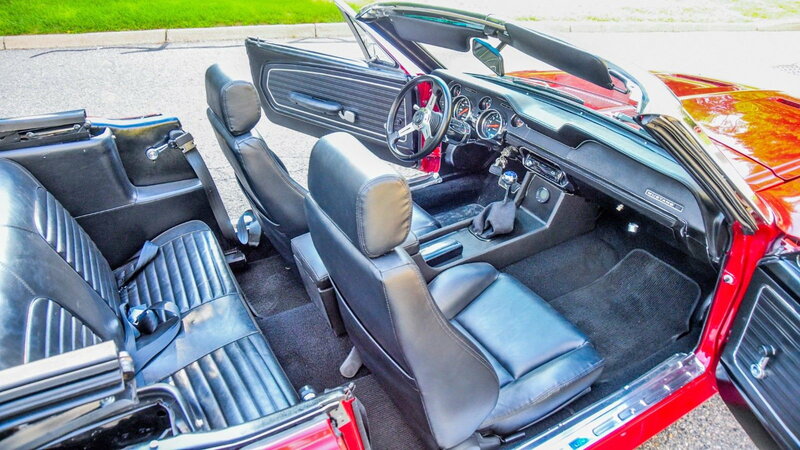 This 1968 convertible is rocking a 2JZ inline six swap straight out of an MKIV Supra. The west meets east classic has undergone a full litany of upgrades that include new sheet metal, glass, paint, and suspension. 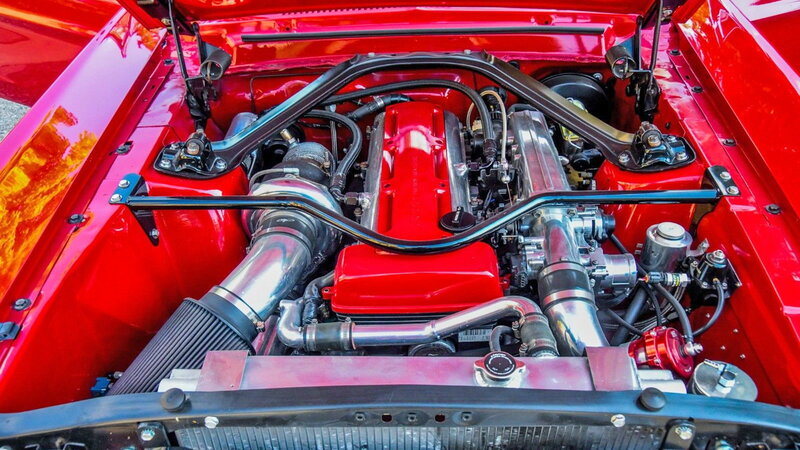 The 2JZ has a machined block with a 10:1 compression ratio connected to a 67-mm Precision turbocharger running on 30 psi of boost. When running on E85, it can make 730 horsepower to the rear wheels. The unit sending power to the rear wheels is a General Motors TH400 automatic transmission and a nine-inch rear end. 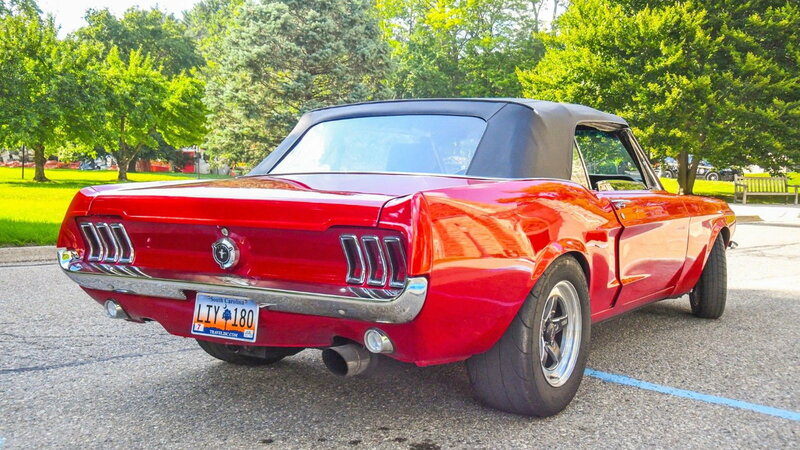 >>Join the conversation about this '68 Convertible with a 2JZ right here in The Mustang Source. The current owner says that the motor is built to handle 1000 horsepower and if one chooses to go for more power, they can just bolt on a new 68 or 71-mm PTE turbo. The previous owner spent five years restoring the car all on an auto body rotisserie. The car also has a full four-wheel disc brake conversion so things can be brought back to legal speeds in a timely manner. The ECU is a ProEFI 128. The car rides on Bilstein shocks, an aftermarket steering rack and drag radial tires in the rear. It is currently listed on eBay for sale with the owner saying that he lives in Germany and is unable to import the car from the States. New headlights, buckets, turns, backups. Front-Upgraded disc brakes, Granada calipers, rotors. 4row Intercooler with 3" alum piping. 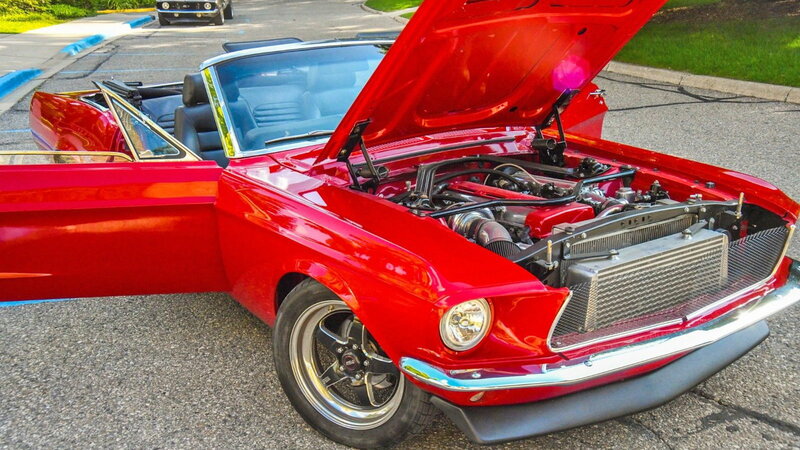 For help with your maintenance and repair projects, please visit the How-To section of our sister site, Mustang Forums.